Traditional-style detached garage plans are available in abroad range of sizes and offer a variety of features from lofts and workshops to attached carports, storage space, half baths, and full apartments. Additionally, they blend well with most architectural home styles. Below are a few traditional garage plans that will help you discover what you are looking for in a traditional-style garage plan. 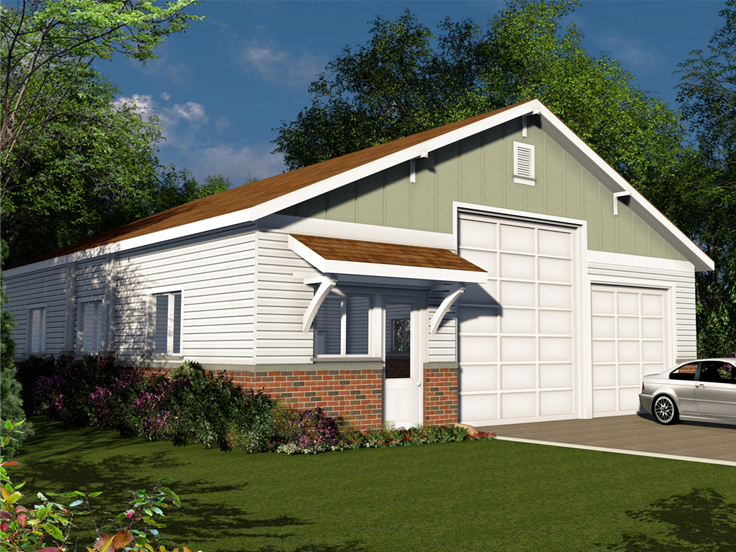 009G-0007: With its obvious curb appeal, this traditional-style garage plan accommodates three vehicles. Two overhead doors expand its usefulness for vehicle storage. You may be tempted to use the single bay for storing a tractor or lawn equipment instead of a car. It would also make a great space for a workshop or storage. A convenient side porch serves as a pedestrian entrance. 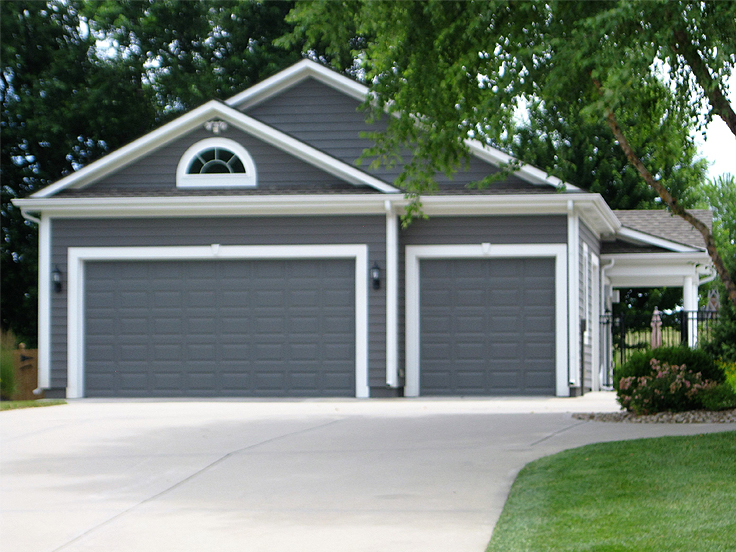 006G-0018: Handsome functionality is expressed by this double garage plan. Its traditional styling will compliment most architectural home styles. It has a 9’ ceiling and a side-entry service door. With 538 square feet, it will accommodate two of your family vehicles. 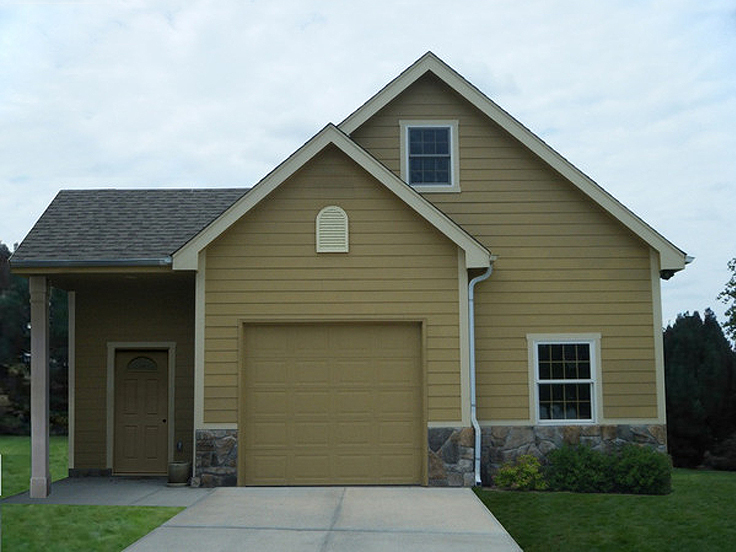 051G-0091: This traditional-style garage plan features excellent curb appeal with a brick and siding façade. Its 2000 square foot vaulted interior will appeal to the home owner. One bay houses your RV and the other holds the family car plus plenty of room for bikes, kayaks and lawn equipment. There’s lots of windows for light and a handy utility sink. 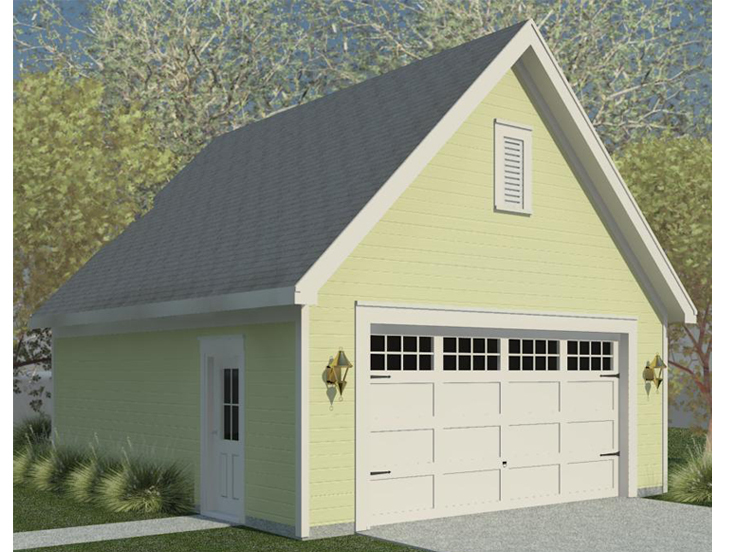 050G-0003: Front facing gables give this garage plan with loft traditional styling. A handy covered porch protects the front and rear service entries. Imagine setting up a shop or storage area on the first level. Stairs lead to a loft space with a cathedral ceiling. It is ideal for storage or create your own hobby or party room. Take some time to browse our full collection of garage plans to find more ideas or the garage plans that fits your needs.